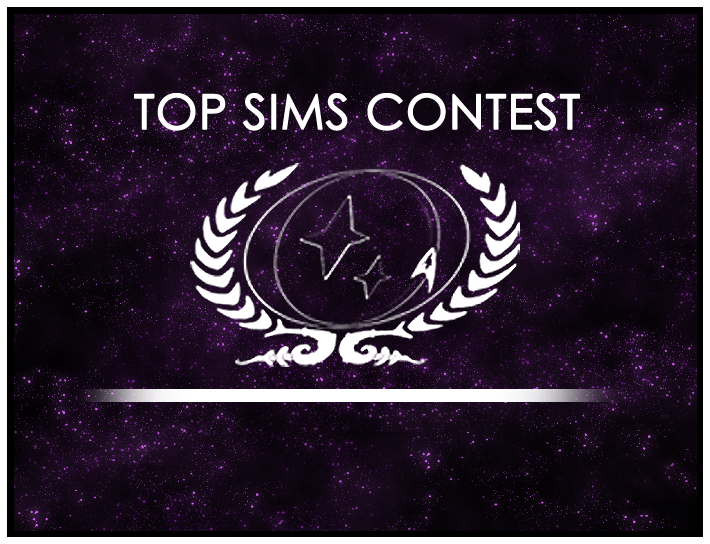 The Top Sims Contest is accepting nominations for Round 23 of 2014 through Sunday, September 21. Every day, your crew mates write the kinds of sims that make our community one of the greatest of it’s kind — making sure they get the recognition they deserve is easy, and only takes a minute! Just check the calendar to see which round we’re on, then start a new topic and paste the sim into the text field. Nominating a sim is as easy as enjoying it, so don’t hold back. Each sim will go to our judges panel to determine which one goes to the next run-off round. One of the sims you read today could be the Top Sim of 2014, but only if you take the time to nominate it. And there’s still time to vote for which sim will proceed to the finals from the third run-off round — less than 20% of the fleet has voted so far, so it’s still anyone’s game. Top Sims Contest: Round 3 Votes, Round 4 Submissions! Top Sims Contest Round 20 Winner!